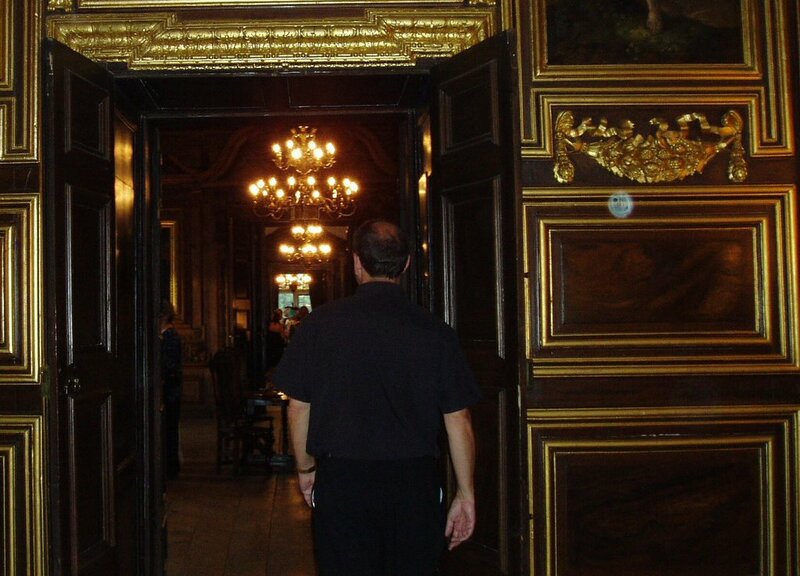 Tredegar House: A Most Ghastly Murder! The Murder Mystery was a success, and it is likely that more will follow. The feedback has been very positive. 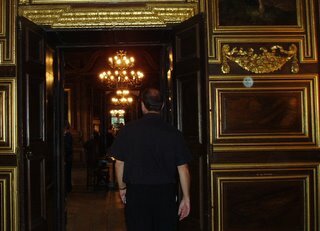 Guests entered via the New Hall (original 17th century front door) to be greeted by the Hon. Frederic George Morgan. A glass of wine awaited them, as well as the chance to question the suspects. Did Lady Tredegar love birds enough to kill her husband? What about John Morgan's lack of success on the Gaming Tables of Monte Carlo? Did Evan Morgan's need for cash to hush up a scandal cause him to murder his father? What about Fred? Was he as honest as publicly thought? After the Morgans were grilled, it was over to the Morgan Room for dinner. Other ideas are in the pipeline. A Victorian murder at Tredegar next, or perhaps even a 17th century crime, are being contemplated. Which Morgan will be killed off next? Nobody is safe from the pen of Goff Morgan!